Saurashtra is a language spoken by a group that migrated from Gujarat two centuries ago to cities like Madurai, Chennai and Tanjore. The script for this language is no longer in use and while it does follow the Devanagiri system, many native speakers cannot read Hindi. The only languages available to write Saurashtram are English and Tamil. Pavithra Solai Jawahar asked us to add her mother language Saurasthra and has been busy translating stories and creating a book of rhymes in the language. In recent times, I found myself to be very jealous of people who speak Indian languages like Tamil and Gujarati. The reason: There were these lovely publishers in India, who were bringing out beautiful books in regional languages for children and young adults. But there were none in my language, my mother tongue, Saurashtra. 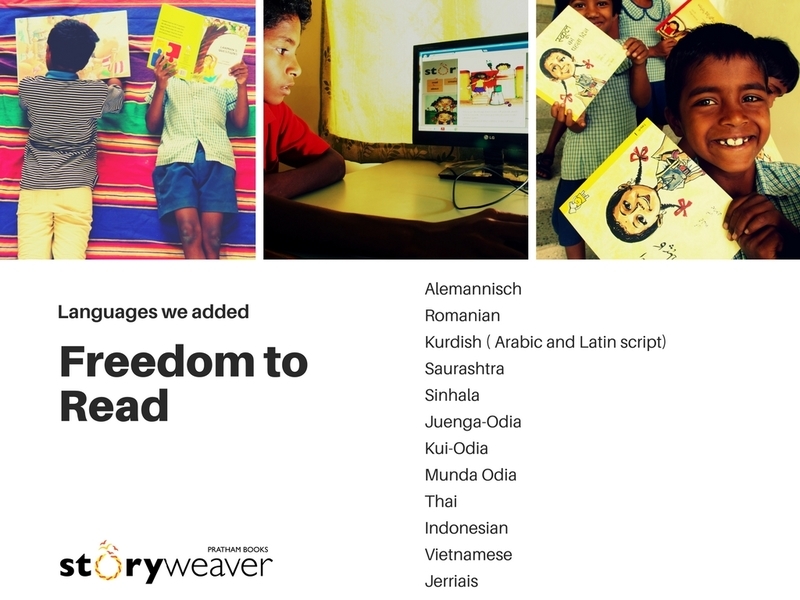 Belonging to a group of linguistic minorities, I believe when your language has a very limited literature for children, it is an injustice done both to the language and the children who miss out reading books in their mother tongue. And when you read in your mother tongue, you also take pride in your heritage. A sense of belonging, you can’t find elsewhere. That’s why I started to translate children stories into Saurashtra. 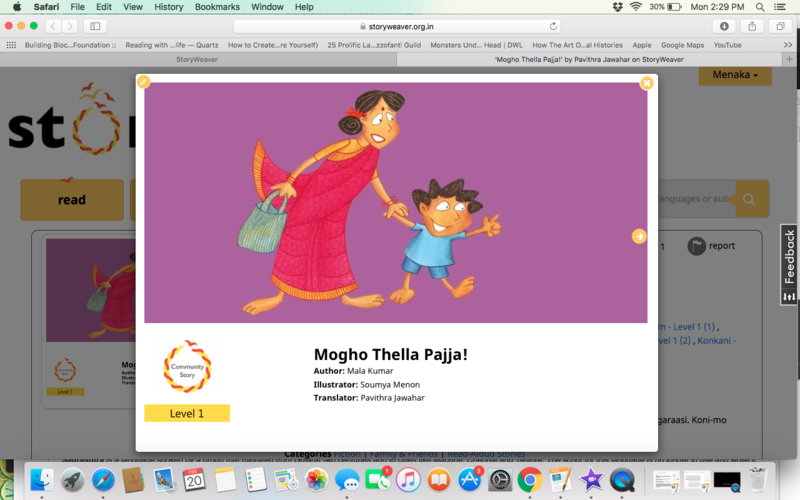 And it wouldn’t have been possible without the help of Pratham Books StoryWeaver. They graciously added Saurashtra onto the platform as a part of their Freedom to Read campaign. There is something about a child’s imagination. You can never put a lid on it. It is unparalleled in a way, you and I, can’t imagine. 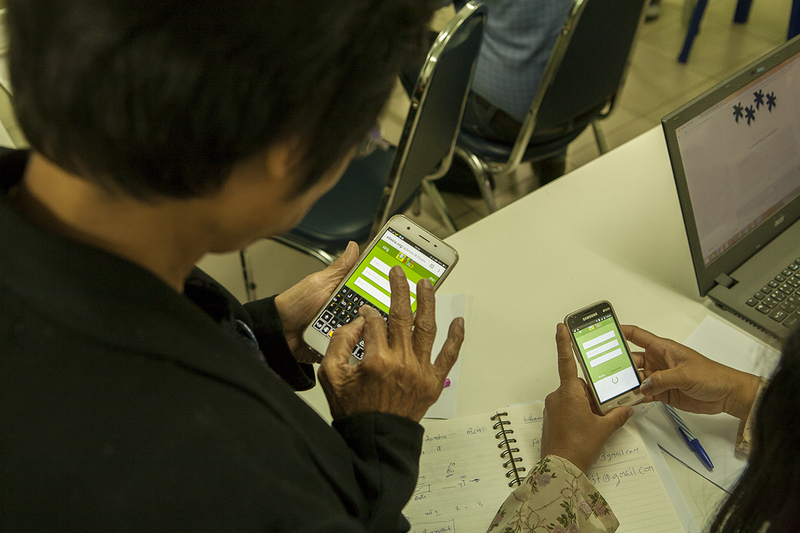 So when I started to translate my first story, it was this fear that took over me. Will I do justice to this pure, boundless imagination of the child reading it? Also, Saurashtra is a dialect. A language whose script is in disuse. And so, I had to resort to transliterating Saurashtra into English. A language which would be easier to read for the children to read. I have translated two books, as of now. 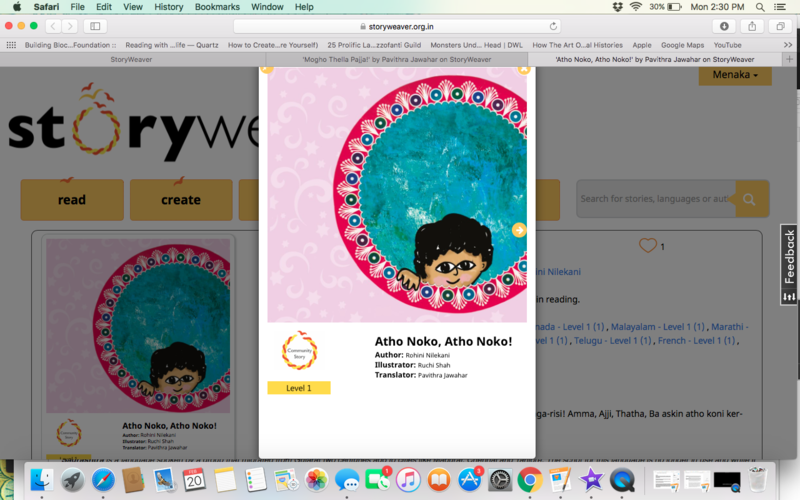 I have also created a “rhymes” book in Saurashtra, using illustrations from StoryWeaver. You can can read it here. Now that I am able to create online story books in Saurashtra, my next challenge is to spread the word about it. And that’s where I discovered the next tricky thing about my mother tongue. Saurashtra has several regional variances, that my transliteration couldn’t cover. (The variation of Saurashtra I speak is different from my dad’s. Yes, that’s how it is!) I am in the process of getting inputs from the Saurashtra community, on how best this can be handled. 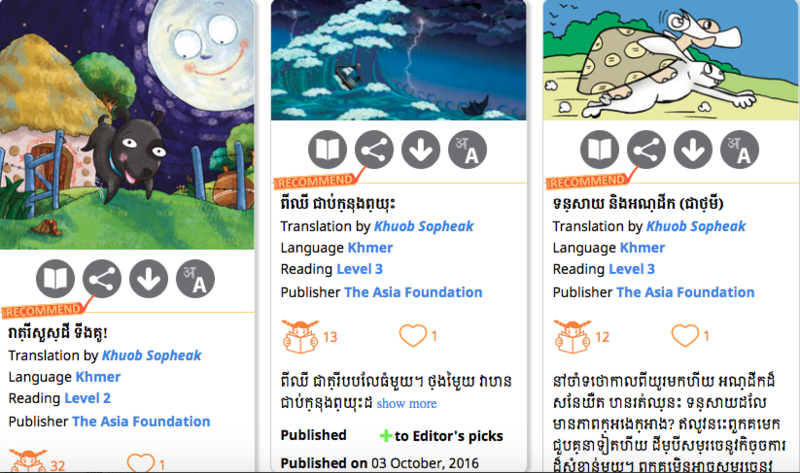 Also, I now realise, that I should print these translations as physical books which can help engage children with the language better. You can expect more Saurashtra storybooks from me and if you know of any Saurashtrians or if you are one (Avo, avo! ), please do share these books and spread the word. Pssst: Since you have read the whole blog, here is another interesting story book, I created with my spouse, for our nephew. It was about a certain SpaceBoy who jumps to the moon to dance with a dinosaur!